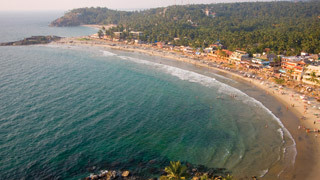 Kasaragod is bound to cast its magical spell on every visitor with its most exciting sights tucked deep in its lesser-known destinations. With a multitude of sigh-inducing sights, the district calls all to explore the unexplored! 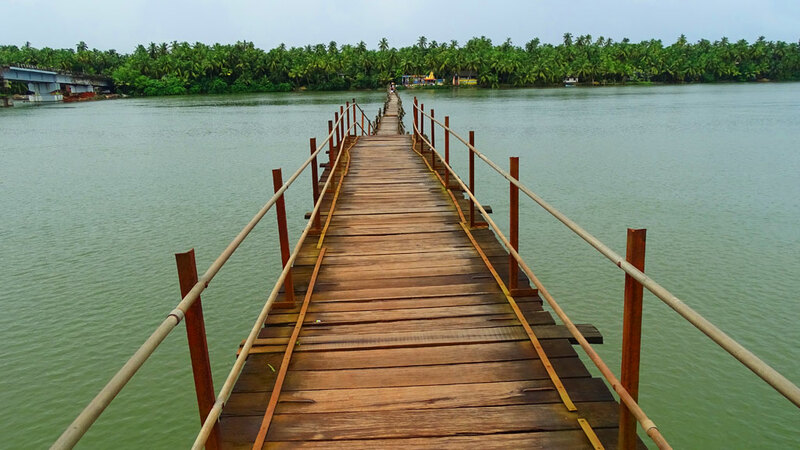 Achamthuruthi is one such less explored slice of paradise situated in the midst of the Tejaswini River (Kariangode River), near Cheruvathur of Kasaragod district that bursts with myriad miraculous beliefs and customs. Achamthuruthi welcomes you with its long foot bridge (400 metres long), the longest of its kind in the State. 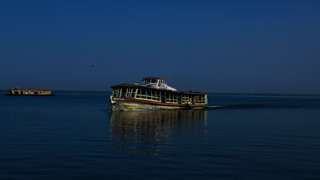 As the morning unfurls, take a country boat and cruise through the picturesque waters and enjoy the symphony of the rustic life and soothing murmurs of this pristine corner. What adds more charm to this serene and slow-moving village is the ritual artform Theyyam. On the banks of the Tejaswini River situates the Vishnu Moorthy Bala Gokulam Temple where, every year as part of its annual festival, Theyyam performances are held. Since, it is performed exclusively by the unmarried youth based here, it is known as pillerutheyyam, and ottakolam theyyam. The myths and legends associated with this are nothing short of awe inspiring. 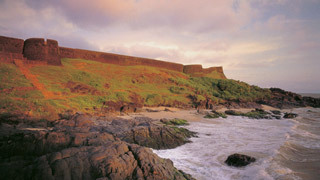 An emerald gem hidden deep in the outskirts of Kasaragod is Malom, a sleepy hamlet. 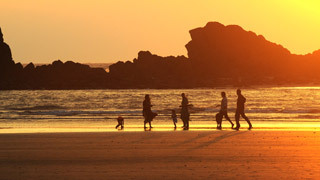 Nestled in the foothills of the entrancing Western Ghats, Malom, the world of hills, offers trekking, mountain biking, eco trips, adventure safaris and much more. Go for a trek into the hills and drop yourself into the wild lush corner to rediscover life. 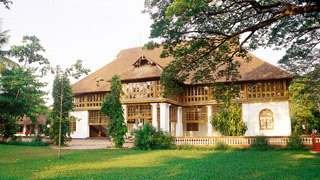 as the’ Coorg of Kerala’, Malom besides its natural charm, will stupefy you with its cultural sophistication as well. 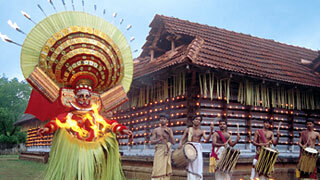 A Muslim theyyam called "Mukri-Poker" is a ritual artform exclusive to this place. 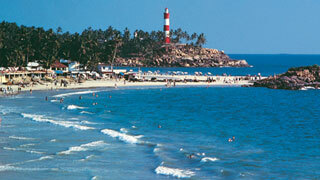 You will certainly be bewitched by the Thenvarikallu Waterfalls, Thooganpara and the evergreen hills of Malom. Kottancherry Hills brings to you an inexplicable harmony with its effortless beauty. 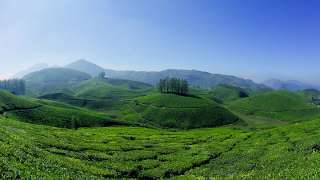 Situated next to the Brahmagiri Hills of Kudagu in Karnataka within the Western Ghats region in Kasaragod district, this cluster of hills is a canvas of succulent green beauty. The added flavours of trekking and mountain biking ensure that the place satisfies adventure enthusiasts in a most gratifying way. 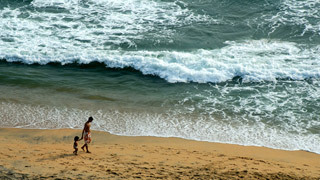 Yet another virgin land of immense beauty in Kasaragod is Thonikadavu. This private plantation that teems with life lures one with swaying palm trees, high rising rocks, natural ponds, and streams. Experience nature at its unadulterated best through treks, hairpin drives, and country boat rides to the little secrets of God’s Own Country.